Saffron Housing Trust Limited employs 200 people, operates in four counties within the Eastern Region, manages assets worth £140m and delivers housing services to residents of over 6,000 homes. As a leading developer of new affordable homes in East Anglia, the organisation has ambitious plans to increase their housing stock to 6,500 over the next three years. 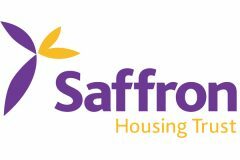 In recent months, Saffron has refreshed its Board and Executive Team and is developing new objectives for the next three years to transform the Trust and secure its position as one of East Anglia’s leading providers of housing to those who need it. Saffron’s vision is: To provide homes in communities of which we are proud. The purpose of the Executive Director of Operations role is to advise the Executive and Board on all operational areas, paying particular attention to customer service, and gain Board agreement for implementing change to improve service. The post-holder will also be the organisational lead for the strategy and delivery of all housing operations. Experience of operating at a senior level in an Operations function in a comparably-sized business will be essential, as will a good grasp of the challenges facing the social housing sector and experience of developing and managing a strong customer service culture. Experience of direct management of wider portfolio responsibilities (e.g. business improvement, and project management) is desirable. The closing date for applications is 9:00am, 3rd September 2018, and the job reference code is ALT221.